Live Action’s Abortion Procedures have saved the lives of at least 13 preborn children. The heartbreaking but factual animated videos show how each type of abortion is committed, and are narrated by former abortionist Dr. Anthony Levatino. Levatino is a board certified obstetrician-gynecologist with over 40 years of experience, including as an associate professor of OB-GYN at Albany Medical Center, where he also served as the Medical Student Director and Residency Program Director. At the beginning of his career, he also worked as an abortionist, committing over 1,200 abortions before becoming pro-life. He worked with Live Action to show what the process of taking a preborn child’s life is really like. Heather was pregnant and had decided she couldn’t have her baby when she saw Live Action’s videos. Her outlook immediately changed. “I wanted an abortion and came across your videos and immediately changed my mind,” she said. “Thank you for everything you do.” In March of 2014, Heather gave birth to her baby girl, Maven Olivia. 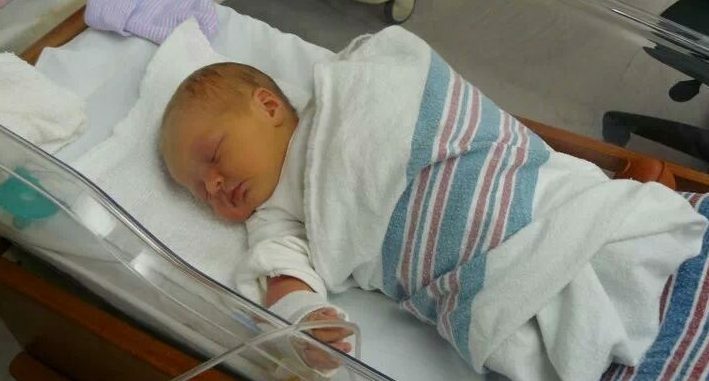 The mother then commented that she was not going to abort, but was looking into adoption for her baby instead. Michelle was 20 weeks pregnant when she was considering abortion in 2016. But after she came across the Live Action video explaining what happens during a D&E, or dilation and evacuation, she commented that she couldn’t go through with it anymore. A couple of months later, Michelle shared a picture on Facebook of her beautiful newborn baby, pictured above. One woman commented that the videos have changed her view of abortion. Another woman said that the videos helped her choose life for her own baby. Sharing the truth of abortion on social media can help save lives. When women are told the truth about the development of their preborn child and how the procedure will end their lives, they are more likely to choose life!